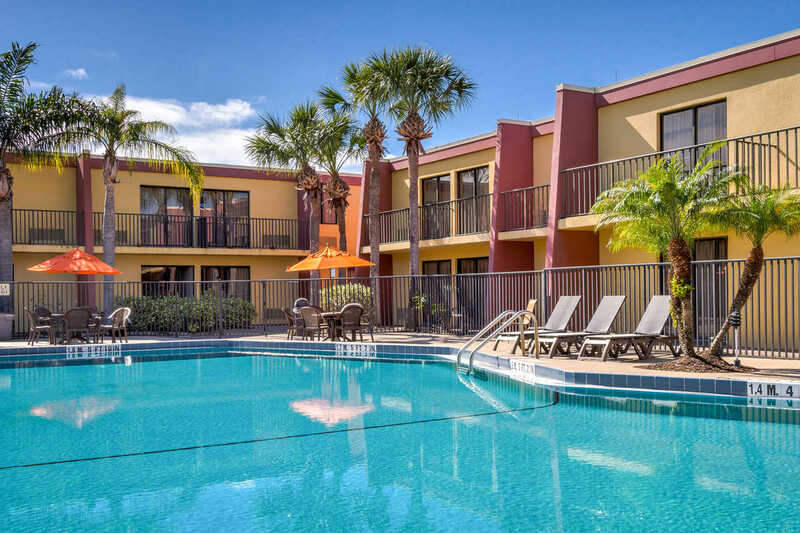 Welcome to the Midpointe Hotel At International Drive located in the heart of Orlando’s convention and theme park areas, where guests are within a 5-minute walk to the Orange County Convention Center and minutes from Orlando’s world-famous theme parks. 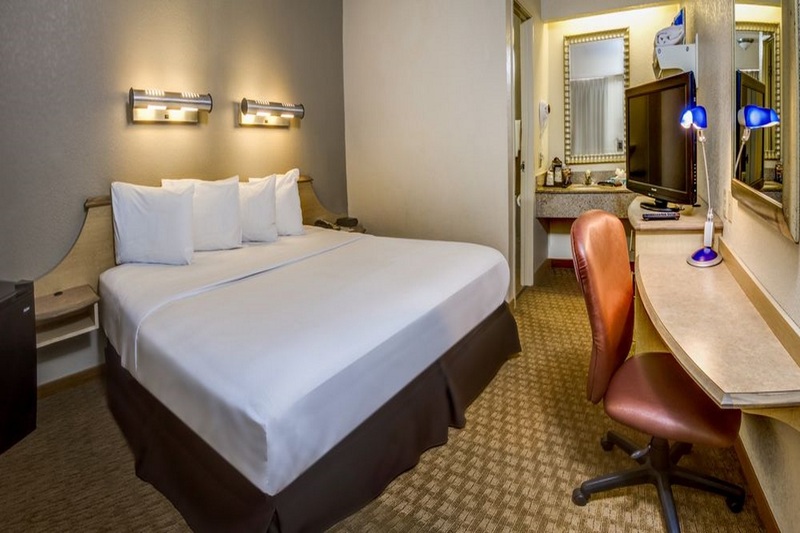 Nestle into renovated guestrooms with superb amenities—such as plush Sealy mattresses and homelike appliances—that make rest and getting ready for the day easy. 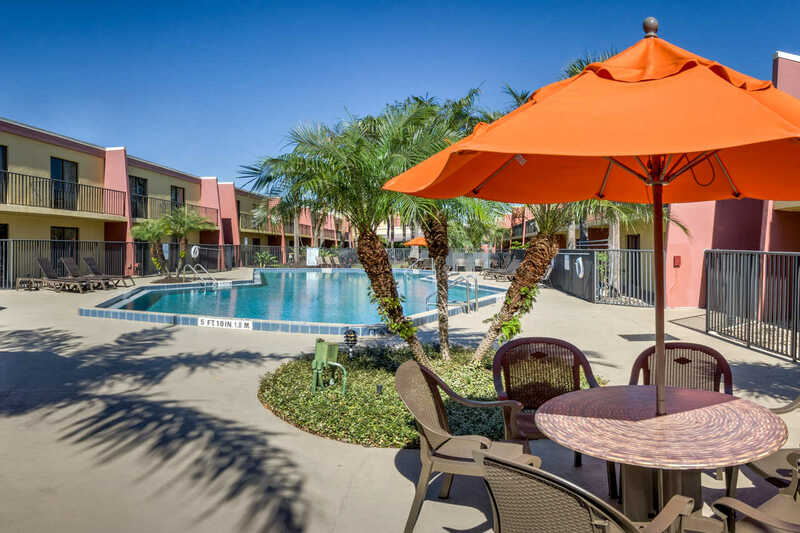 Enjoy a meal onsite at the café or rest and relax by the pool. Need to meet? 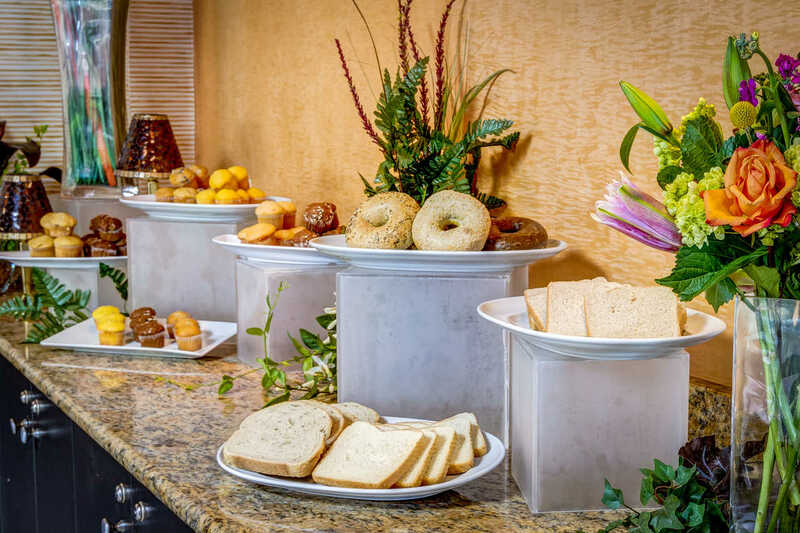 Set up your next executive event or brainstorming session onsite. Guests enjoy several options for dining. 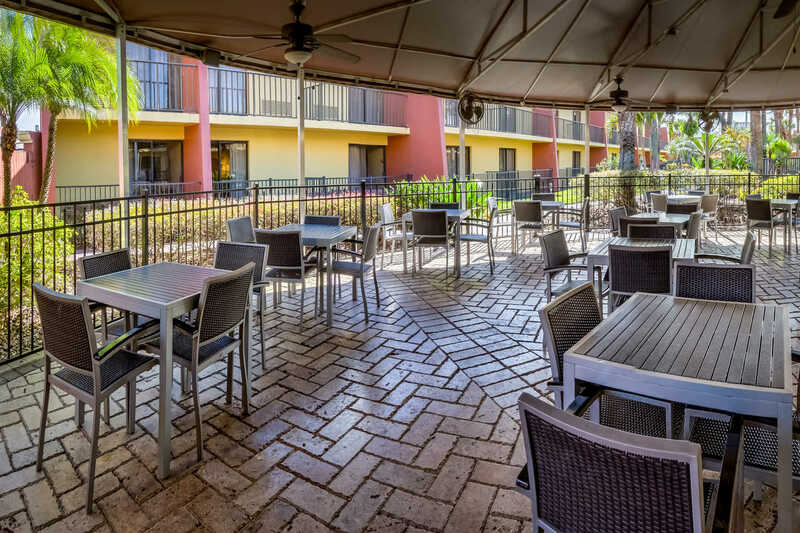 Along International Drive there are dining options to suit all tastes and budgets. Whether you’re craving fresh seafood, gourmet Italian, authentic sushi, or a delicious steak, you’ll find it nearby. 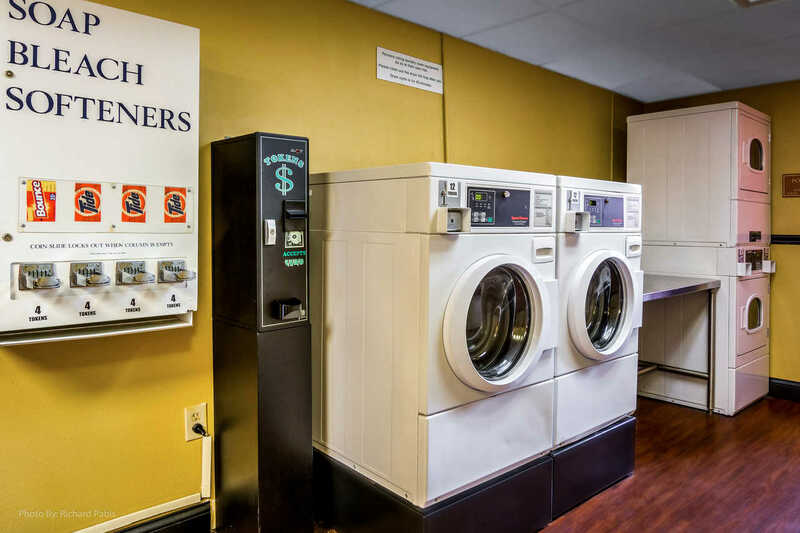 Entertainment for all ages is just around the corner from Midepointe Hotel. 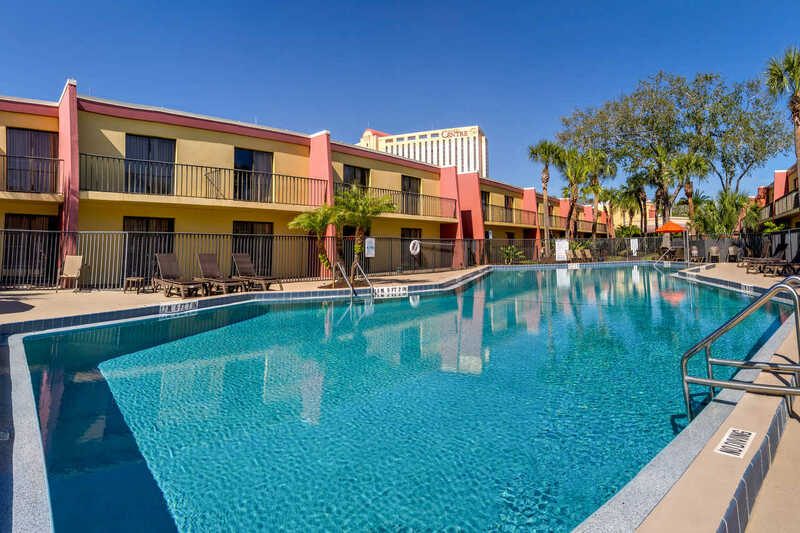 Within minutes of the hotel are thrill rides, water parks, shopping, and museums. All times are approximations and may change due to traffic. 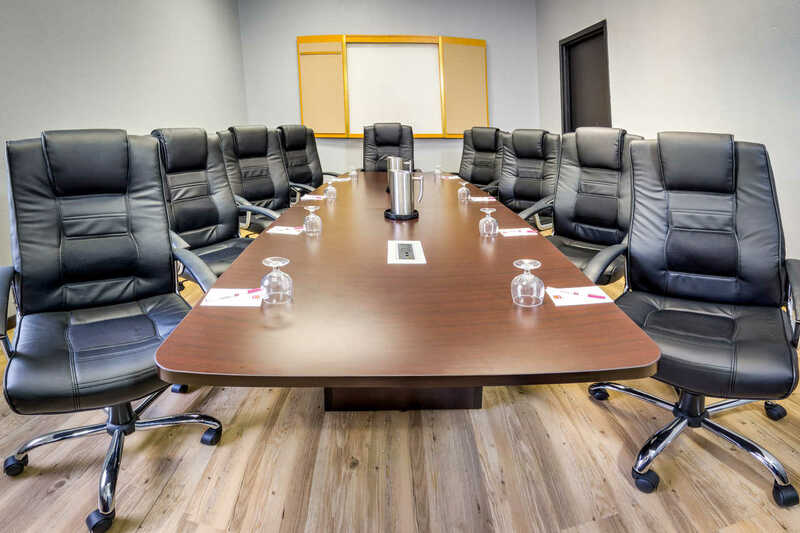 Host your meeting at Midpointe Hotel where 1,170 square feet of space equipped with the right technology creates the ideal space for your business event or social gathering. 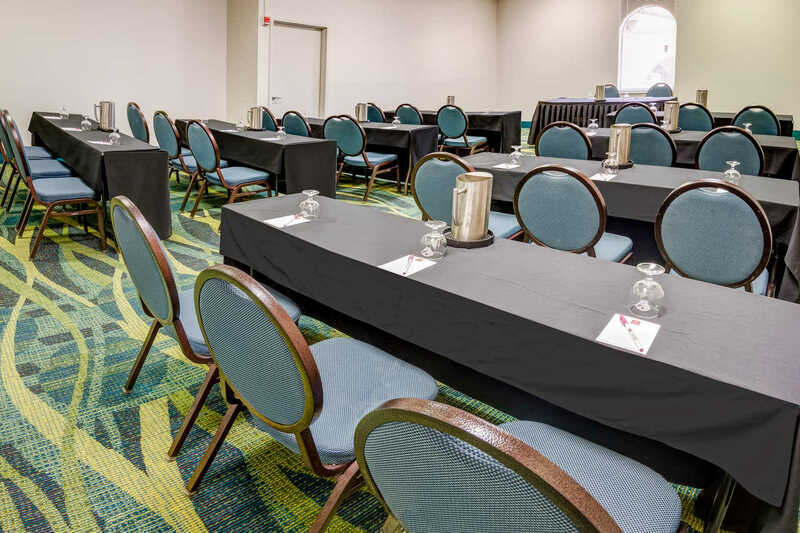 We can host up to 130 people, perfect for those looking to host a private meetings offsite from the Orange County Convention Center. Attentive staff and meeting planners ensure a smooth event. 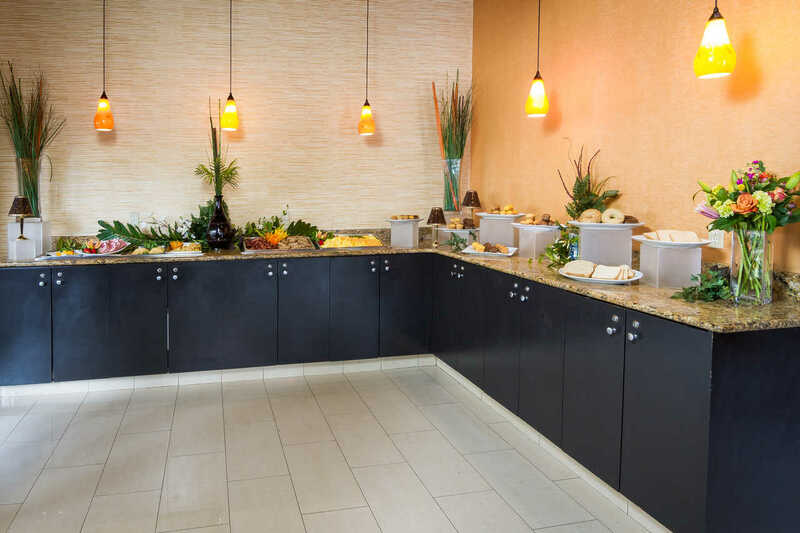 Book your Orlando event space by calling (407) 351-5100. 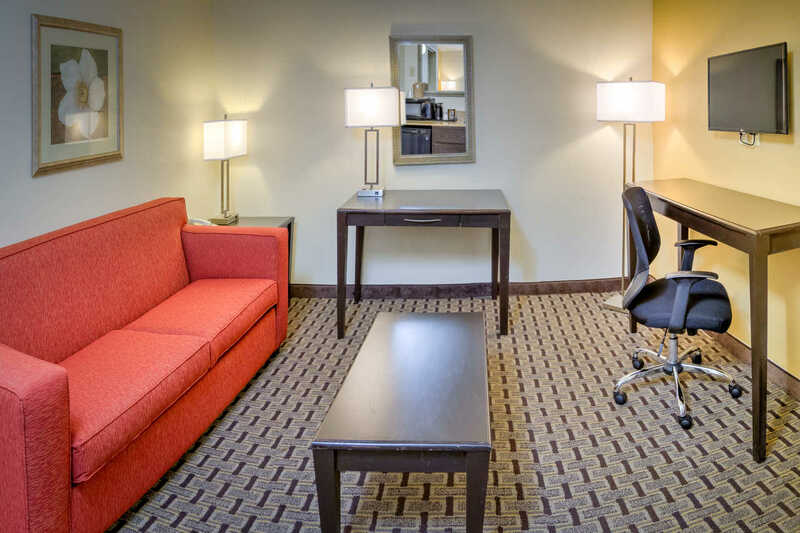 Midpointe Hotel values business travelers. That's why we offer special services and amenities to cater to your unique business needs. 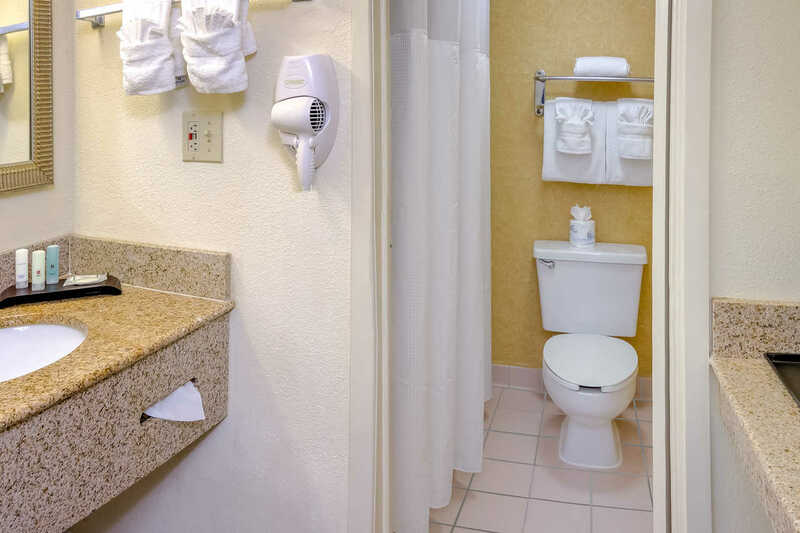 Midpointe Hotel is committed to making hotels, amenities, and services accessible to all guests regardless of abilities and disabilities. 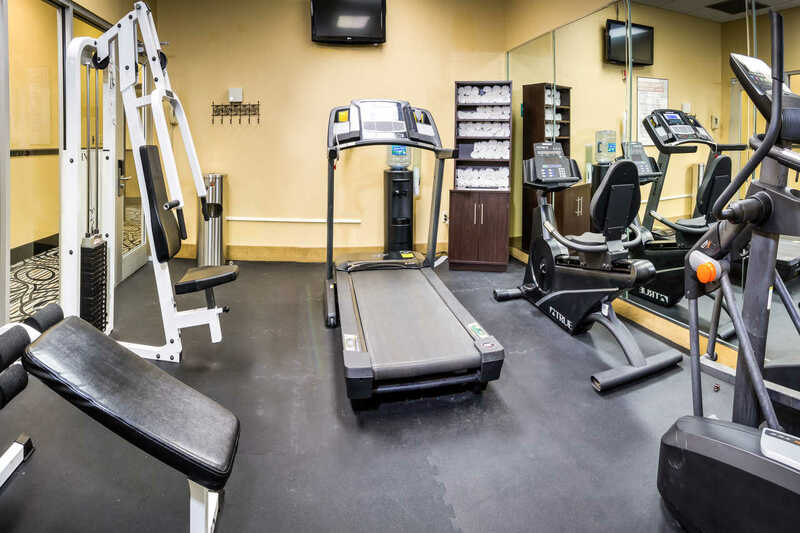 Have questions about the accessible facilities and services offered at this hotel? Please call us at 1-407-351-5100. The world’s premier marine adventure park has family-friendly exhibits, rides, and shows nestled in 200 acres, including thrill rides such as the Kraken®, Journey to Atlantis®, and Manta®. Complete your visit to SeaWorld® Orlando with an up-close visit with dolphins, orcas, beluga whales, and other sea creatures. Free! Children 12 years and under stay free of charge when using existing bedding. Any additional older children or adults are charged USD 7.95 per person per night when using existing beds. There is no capacity for extra beds in the room. Additional fees are not calculated automatically in the total cost and will have to be paid for separately during your stay. 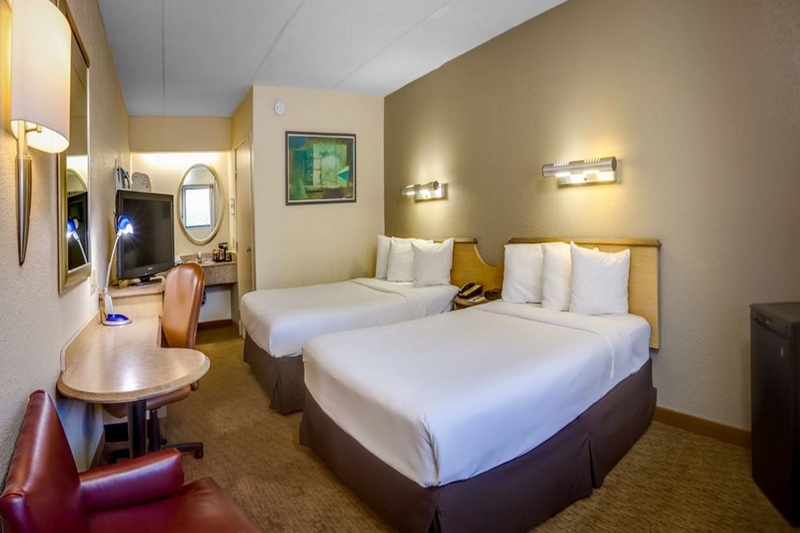 Rates are based on double occupancy, additional charge of $7.95 may apply for additional occupants. Parcel packages accepted by the hotel will accrue a charge, for additional information please contact the property direct. 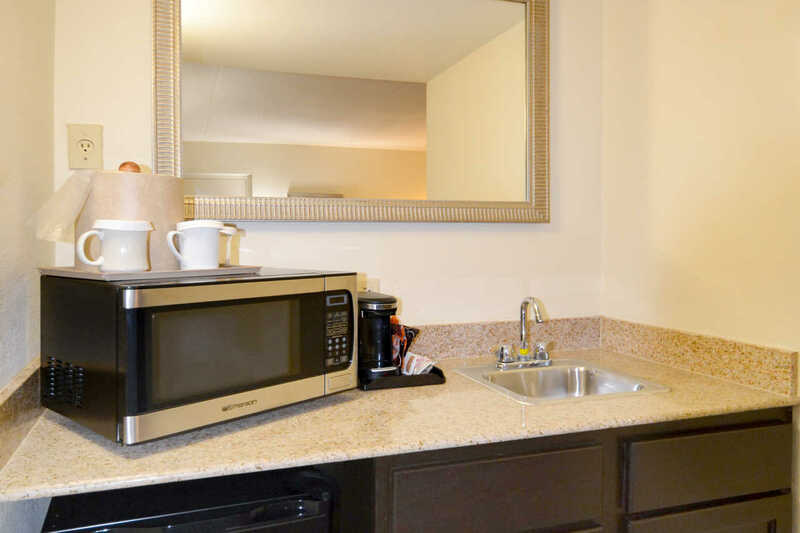 Your four-legged family member is most welcome to room with you during your Orlando visit with advanced reservations. Pet fees are $15 (plus tax) a night, per pet, and per guestroom. We care about your safety and comfort, so we ask that you follow the guidelines defined in the Pet Policy. Key rules to know: proof of current vaccination is due at check in and pets are only allowed in certain areas. Please call ahead to make proper arrangements for your pet’s stay. My first impressions always come from on how friendly the staff is in the beginning. The room was clean and neat that was a plus and beds were comfortable. The pool was nice. We were pleasantly surprised by this hotel! We were not familiar with Orlando at all but needed a place the night before we checked into a Disney Resort. We were thankful it was in a safe area of town near shopping and restaurants. The staff was friendly. The hot breakfast was good. The rooms were very clean and spacious. We enjoyed our overnight stay at this hotel! Great loction and great price! I had a good experience, The rooms were nice and the gym and the rest of the hotel was great. My experience was amazed. The hotel was cleaned,nice service housekeeping. the people at the front desk were very friendly and gave us all information.I will recommend the hotel to those I know. My next trip again would be at the Clarion Hotel. Hotel was an outstanding place to stay! great staff, VERY clean. looked like a brand new place, marble floors, granite counters. very beautiful hotel. Room was really clean, front desk personnel was friendly and the atmosphere of the hotel is pleasant. Great location for all the attractions of the area. The Midpointe is perfectly situated on i drive with all the staff so friendly the suites are gorgeous with balcony overlooking the pool great friendly bar at night staff such as Vasant, pat, shesh, jag and eric all make it a special place and will go out there way to make you feel at home shuttles to all the parks with free breakfast makes it perfect for you or your family, Thanks again guys for your hospitality. I would stay again. Nice comfortable affordable and convenient I would recommend it to someone else.